We have all done it. Letting our air filters go long past their useful life. But did you know there is a real expensive consequence to letting your air filter clog up with all the dirt and dust? Absolutely! And not just a few dollars now and then, but a significant expense such as replacing your air handler, evaporator coil or your compressor. Any one of these can cost you nearly $1000 dollars. First let me explain that the air conditioning system relies on a very balanced requirement of temperatures and air flows. The air flow through the evaporator is what cools your house. 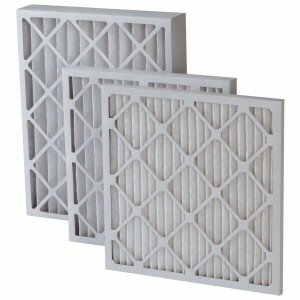 The first and most obvious problem with dirty filters is that you are limiting the supply of cool air back into the living spaces because the return is choking the air that supplies the evaporator. Thus the evaporator cannot put out enough cool air. Your air conditioner will try to run more often and for longer run cycles and your electric bill will be above normal. The less obvious problem is that the air running across the evaporator is necessary to add heat to the refrigerant so that the refrigerant can remove the heat from the air. If the refrigerant is not getting enough heat, it can freeze your evaporator coil into a block of ice. Ice will damage your evaporator coil by allowing the coil to rust and possibly create leaks. If your coil is leaking, then you need to replace your coil. That is an expensive replacement. Secondly, the refrigerant may not completely turn to vapor and stay a liquid as is goes back to the compressor. Here again is a hidden danger. Compressors compress vapors, liquids do not compress. If your compressor is trying to compress liquids, it may rapidly burn out. Ouch! That too, is an expensive repair. So save yourself a ton of money, go and buy those $3-$5 filters every month.